"Where a mother's true beauty is birthed"
Aromomtherapy is the place that comes to Mothers to provide them with a daily retreat and in home SELF-CARE SOULutions. 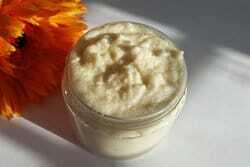 Our products are handmade, natural and soothing to a mother from her body to her soul and our servcies are unmatched. Created with the wholeness of a Mother in mind, you can rest assured that our services and products have been tested and approved by MOMS Just like you! Once a mother has made the commitment to allow her mind and spirit bond with her body she'll have everything necessary to give birth to her true beauty. Aromomtherapy has perfected the art of combining those qualities and created an environment that will promote the acts of mothers loving and caring for themselves while still balancing motherhood! FEATURED SPA PRODUCTS AND SERVICES! Available now! Click the boutique tab to begin your shopping experience! Available Now contact us via phone today for booking 404-MOM-2494 or click the massage tab and book online! Inappropriate behavior will result in immediate termination of service and full payment charged. Do you like social media? Great! So do we. Like, or follow us on Facebook,Twitter, Instagram. Not a social media fan?.. that’s okay we've got you covered too just sign up for our newsletter below under subscribe and you will receive exclusive offers, promotions, and company updates!